Amsterdam- Wayne D. Babcock, 64, of Amsterdam, died unexpectedly in his sleep on January 31, 2019 at his residence. Born January 4, 1955 in Cobleskill, he was the son of the Wanda (Dauley) Babcock and the late Rev. Warren Babcock. Wayne was the proud owner of Wayne Babcock Designer and Carpenter. For many years he was employed as an interior designer for Ethan Allen and Raymour and Flanigan in Watertown. Wayne had the natural ability to just look at a room and envision the renovations or accent pieces for a new look. He was a jack-of-all-trades, master of carpentry and artist as well. Wayne had a passion for cooking, especially for his family, all things gourmet. He also had a love for music, singing and participating in theatre productions. He was amazing at everything he did and his talents and attention to detail will be greatly missed. Wayne had a passion to volunteer his craftsmanship, assisting at his local church, Fulmont Community Church, with designing, remodeling and restoration. He would also quietly help others in their time of need, never expecting or asking for a favor or payment in return. His father, Rev. 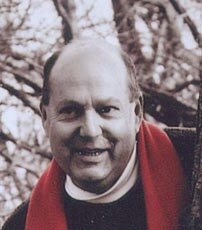 Warren Babcock, predeceased him on April 26, 2016. Survivors include his mother, Wanda Babcock, of Amsterdam; two sisters: Wendy Brush of Johnstown and Karen (Jim) Hinderliter of Ephratah; two brothers: Bill (Holly) Babcock of Pierrepont Manor and Steven (Wendy Sue) Babcock of Lacona, NY; nieces:Amy (Scott) Seeley of Stratford, Stephanie Brush of Lake George and Ashley (Justin) Steele of Caroga Lake, along with several more nieces, nephews, grandnieces and grandnephews. A memorial service will be held on Saturday, February 9, 2019 at 11 AM at Fulmont Community Church, 16 West Fulton St., Gloversville, NY with Rev. Greg Meyers officiating. A memorial visitation will precede the service at the church from 9 AM until the commencement of the service. A private graveside service will be at Richmondville Rural Cemetery in the Spring. Memorial contributions in Wayne’s memory may be made to the community church. Arrangements are entrusted to Mereness-Putnam Funeral Home, 171 Elm St., Cobleskill.